Should You File for Bankruptcy because of Hurricane Damage? The 2018 hurricane season has been very destructive in Florida. In early May, tropical storm Alberto struck northern Florida, leaving a trail of destruction. Hurricane Florence, in September, skirted past Florida, but its high tides caused damage along the state’s coast and killed a couple people. And in early October, Hurricane Michael struck the panhandle. After suffering devastating losses in natural disasters, many people might declare bankruptcy. However, there are certain factors you must take into consideration. If you need help thinking through your options, please contact an experienced South Florida bankruptcy attorney. For most people, their largest asset is their home. Any damage to a home can cost tens of thousands of dollars to repair, setting people behind. Unfortunately, many Americans (and Floridians) are already living paycheck to paycheck, so they have little extra money to spare. Fortunately, most homeowners should have insurance on their home that covers hurricane damage. Check your policy and work with your insurance agent to make a claim. It is not unheard of for insurance companies to try and deny claims, especially after a natural disaster that strikes thousands. However, if you follow your policy, you might be able to get reimbursed for repairs. Most insurance policies, though, have high deductibles. A typical policy will require that you pay about 2% of the value of your home as a deductible before the insurer covers any losses. If your home is worth $200,000, then your deductible could be $4,000. That is a lot of money that many people will not have. Bankruptcy can help wipe out certain unsecured debts, like credit cards, personal loans, and medical debt. It will not help with getting rid of your mortgage or your car loan. Take a look at your expenses. After a hurricane, you might have put $10,000 in repairs on your credit card. This is an unsecured debt that could be wiped out in bankruptcy in some situations. 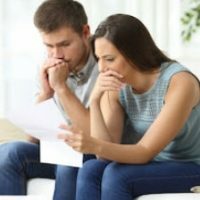 Depending on the circumstances, you might not have the money to make your mortgage payment, putting you on the brink of foreclosure. Although bankruptcy cannot wipe out your mortgage, a Chapter 13 will allow you to spread out your mortgage arrears over a 3-5 year period. It will also stop a foreclosure in its tracks. You don’t get to file bankruptcy year after year. Instead, you typically must wait several years, depending on the bankruptcy you filed. For this reason, you need to analyze when is the right time to file. If you expect to incur more expenses to fix your home in the next 6 months, then there is no reason to rush into bankruptcy court right now (if you can help it). Timing a bankruptcy is key, and that requires that you look ahead to estimate your expenses over the next 12 months. Natural disasters leave many people homeless and even more people up to their eyeballs in debt. If you are feeling financial strain, please reach out to us today. One of the Plantation bankruptcy attorneys at Nowack & Olson will help you identify whether bankruptcy is right for you.